Join Fight Ready for a once in a lifetime opportunity in Scottsdale, AZ on April 13th! 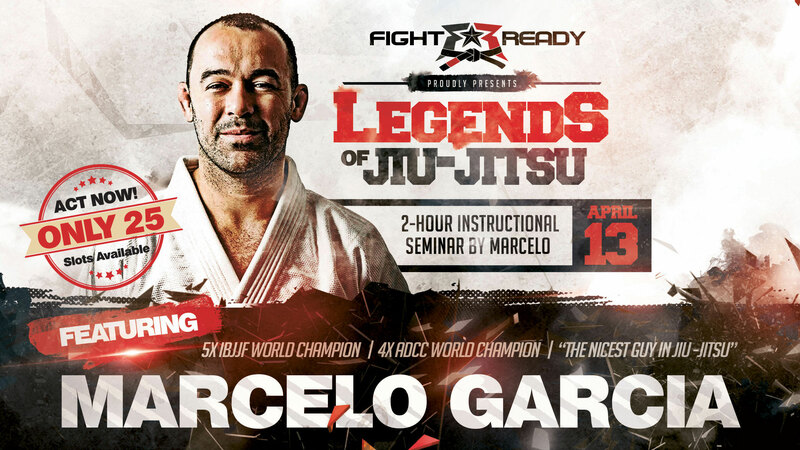 They will be hosting a two-hour intensive training seminar with 5X IBJJF World Champion and 4x ADCC World Champion Marcelo Garcia Jiu-Jitsu. Marcelo Garcia is considered to be one of the best grapplers in the world. He has a grappling record of 75-11 and holds five world championship titles in Brazilian jiu-jitsu as a black belt in the middle-weight category.